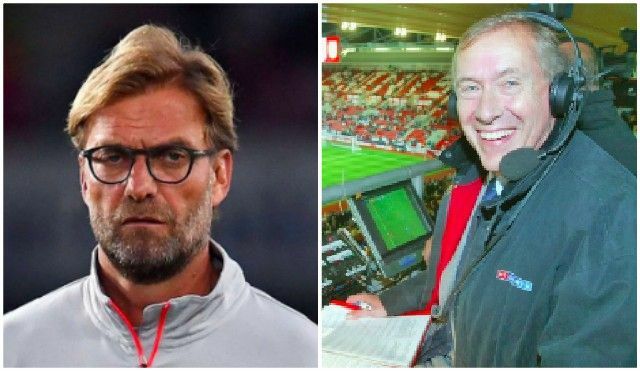 Who’d have thought Martin Tyler would end up being a Liverpool ITK?! The commentator, who many believe has it in for Liverpool, told Australian TV channel SBS that Nabil Fekir will sign for us – and even explained how we’d structure it. According to Tyler, we’ll pay the fee in instalments and the Frenchman will finally arrive at Anfield, having infamously already done his club interviews before the World Cup. Martin Tyler said "Liverpool will get Nabil Fekir from Lyon, they will pay the price in installments over the course of his contract with the club"
If you think I’m going to believe Martin Tyler, speaking on Australian television, suggesting Liverpool will sign Nabil Fekir. Lyon’s chairman Jean-Michel Aulas has already opened the door for us to re-enter negotiations [Echo], and although Liverpool bought Xherdan Shaqiri, the Swiss is not seen as an alternative to Fekir, but a versatile squad bolsterer. It’s very obvious that we need a creative playmaking option and have done ever since Coutinho’s departure. Fekir is the first-choice and we’re convinced Jurgen Klopp will get his man. Theoretically, we could line up on Opening day something like this: Ward; Trent, Robertson, Lovren, Van Dijk; Henderson/Fabinho, Keita, Mane, Salah, Fekir, Firmino.